Discussion in 'Roller Coaster Construction' started by MakoMania, Oct 26, 2018. I mean, the Gwazi plot isn't that much smaller than Steel Vengeance's plot. If you took out the speed hump and went straight into a big turnaround you'd easily get it on the Gwazi plot. spicy, Pear, Matt N and 6 others like this. Came here to say what Hixee just said. Gwazi is ing huge. So taking bets on names? I'm gonna go with Wicked Twisted Steel Gwazi Iron. Snoo, Pokemaniac, Peet and 3 others like this. Snoo, CoasterMac305, Pear and 1 other person like this. 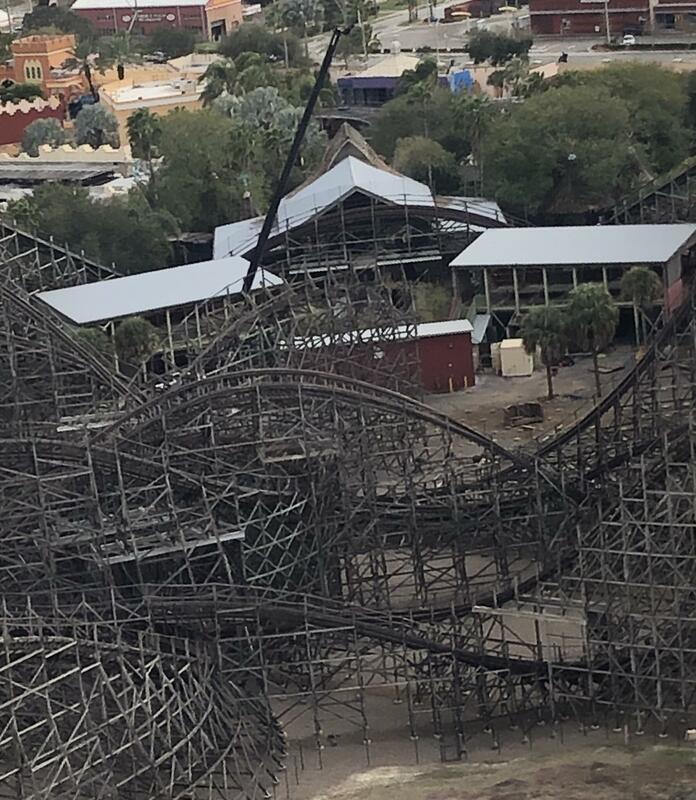 This ride really has me excited; to put things into perspective, they have roughly 7000ft of track to work with combined, so even if some track is removed, you still easily have a Steel Vengeance-sized ride! I reckon this coaster will be exactly the airtime machine that Busch Gardens Tampa needs, and they'll have a really strong coaster lineup after this opens! In fact, I even reckon this could give Steel Vengeance a run for its money in terms of ride experience! RMC have really been outdoing themselves these past couple of years, so nothing would surprise me! Benenen and b&mfanboy123 like this. Steel Vengeance is great, it's the best, don't get me wrong, but... it's an easily defeat-able ride. Taking advantage of this much larger structure and track layout with more aggressive elements could merit an even larger crown jewel for RMC. Coaster Hipster, Zek_Teh_Kek, Bert2theSpark and 2 others like this. Twisted Tiger. They filed a trademark for it. Those trademarks were all different names for Tigris. They could reuse it though. Having a ride called Tigris and another one called Twisted Tiger wouldn't happen surely. They changed Cheetah Chase to Sand Serpent when Cheetah Hunt opened after all. Lofty and Pear like this. Jackson, Cranedude, b&mfanboy123 and 3 others like this. And so it begins! Here's to an exciting year watching this thing take shape! lachlan, b&mfanboy123 and MakoMania like this. Jackson, Matt N, CrashCoaster and 1 other person like this. I honestly don’t see this happening, they would have to add so much structure and most of the existing structure is way too small to be able to accommodate for such a large coaster. While the leaked stats would make for a great ride, I just doubt that it is possible. I understand your reticence but First Drop is an excellent resource. The 5 inversion for Untamed thing was from the same magazine and several people didnt believe it and yet the park just confirmed its true. I cant say how they are going to do it beyond what was said in the article but i completely trust FD that this is what is going to happen. Jackson, b&mfanboy123, Kw6sTheater and 6 others like this. 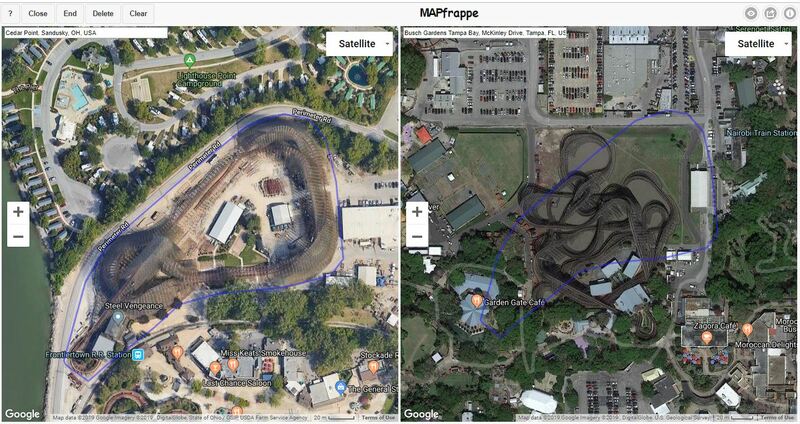 I mean, First Drop also said that Untamed was going to have 5 inversions... now look where that ended up ( ). 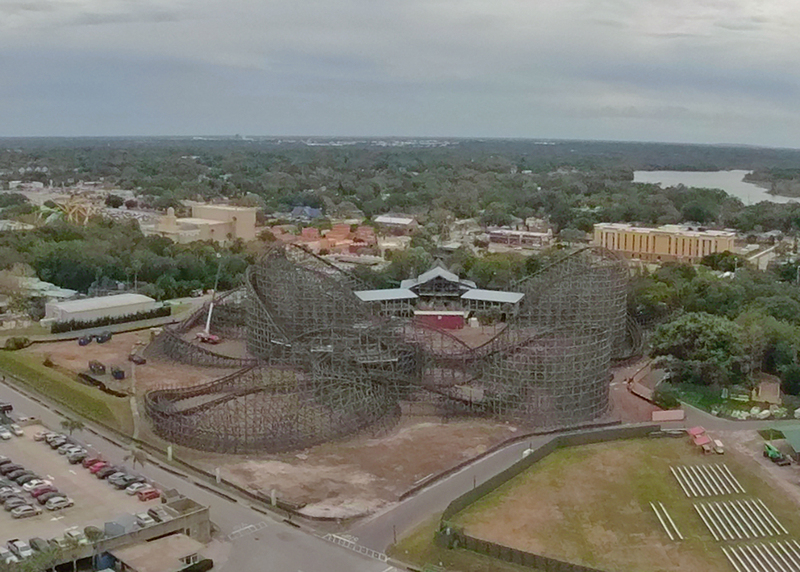 The 212 foot lift height and 91 degree drop seems... insane, especially given that Gwazi's old height was only 105 feet and this 212 foot hill would be constructed from scratch rather than recycling some of the old structure (ala Mean Streak's 161' apex which Steel Vengeance added 44' onto). Can't wait for more info! Lots of demo in the middle of the ride area! Jackson, tomahawk, Pear and 5 others like this. b&mfanboy123 and Matt N like this. I mean RMC has killer airtime but that's literally trying to kill you. tomahawk and b&mfanboy123 like this.